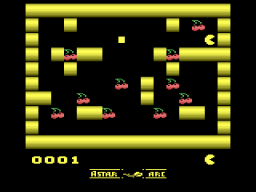 AStar is inspired by an old calculator game called DStar. The basic idea is to collect all the items (cherries on the first level), but you always move in a straight line until you hit something. You can alternately control a block to help get around the level.